You own the property of your dreams! The problem is, work is required to make, &, keep it beautiful. Todd is an expert at taming the bush. You get a professional that just makes it easy to have the property you can be proud to own. 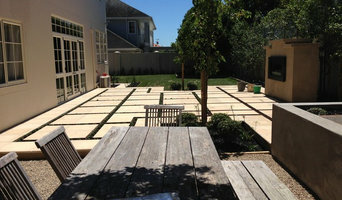 Call or text for a free consultation: 021340320 Your garden tasks taken care of. Designer Environments is a small, friendly and professional team with decades of experience in landscape design, construction and project management, providing clients with exceptional landscaping solutions. It is our aim to achieve the best combination of functionality and aesthetic for each client and each site, so you are thrilled with the final result. We bring decades of experience to each project - ensuring that each stage flows and that you stay informed throughout the process. We design and construct hardscaping elements such as retaining walls, paved areas, fences, pergolas, paths, decks, raised beds and walls. We design and install site-specific softscaping elements such as planting, mulching and decorative finishes. We design and install irrigation, lighting, water features and sculpture. We manage projects from start to finish, utilising trusted suppliers and engaging quality sub-contractors as required. I provide aftercare garden services to the industry, maintaining residential and commercial gardens in the city suburbs. The company deals with both residential and commercial properties and also provides a maintenance service. Image courtesy Trends Ideas. Click on image to go to the Trends articleDesigners often supply a plan although we may recommend amendments if we see more viable options. However, if clients do not have a plan Rachel will design a plan for them. All Luijten Landscaping Limited staff are professional landscapers with credible, practical experience. Luijten Landscaping Limited has a nursery that enables us to provide a large selection of highest quality plants at reasonable prices. If the nursery cannot provide the variety or quantity of plants required for a project we will source them from one of our nationwide supplier. 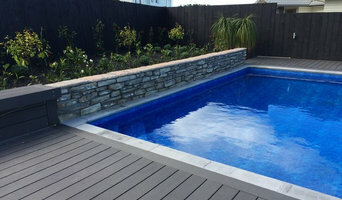 Founded by Robert and his wife Ellis, Luijten Landscaping has defined the image of homes and companies throughout Auckland. Enhancing the grounds of these properties is not only an investment but is frequently a requirement of many new developments. 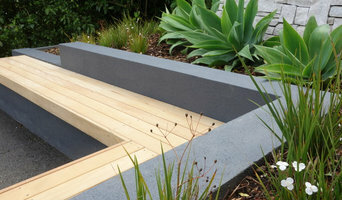 Award winning premium landscaping and design company, located in Wellington, New Zealand. Stuart Baines is the owner and the overall project manager. He has a no nonsense work-hard, play-hard approach with an eye for detail. Stefan Curry is Stuart's right hand man, behind the scenes he is crunching numbers and doing deals with our supplier's. Stefan has a National Diploma in Quantity Surveying and Construction Management. Chirs Ah Wong is our resident Landscape Architect, he has a Bachelor of Landscape Architecture (Hons.) You may need a concept plan just to get you started with your ideas or otherwise a more complex job may require a full design/build plan. Chris has worked for Aspen as a landscaper prior to coming in to the office to fully use his design skills. His plans are both beautiful and functional keeping in mind our construction teams need to implement them practically and within your budget requirements. For anything "Green", garden maintenance, lawns and new planting Paul Tymkin will take care of it for you, he has a wealth of knowledge, he will listen to your enquiry and send the most qualified person for your job to meet with you on site. Stuart will tell you that our staff are the testament of the success of our business, we have fantastic people who all work very hard to please our customers. 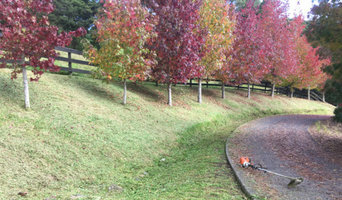 As landscapers in auckland its a genuine passion for us not just a job. Weather you are seeking a small renovation to your property or a complete makeover, we can offer a friendly and detailed service that will ultimately deliver what you desire. With 12 yrs Experience within landscape construction and gardening we can make any vision a reality. Urbis Landscapes has had a great 6 year run of working all over Auckland creating amazing Gardens. Working with many designers we are lucky enough to do some amazing work. We undertake all work outside and have a great knowledge of Horticulture and construction behind us. Urbis also offers Garden Maintenance keeping your new gardens looking fantastic. 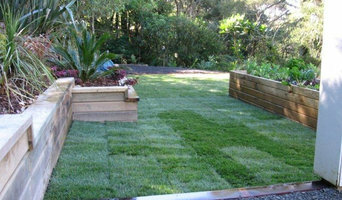 We are a small landscaping company servicing the Wellington region. We are a team of passionate good natured characters dedicated to enhancing your outdoor space. Services include: Custom design, Project Management, Consultation Construction expertise includes: Lanscape construction and maintenance, EQC Claims & Slip remediation, Pathways & Driveways, Decking, Boardwalks, Pergolas, Handrails, Gates, Planter boxes, Edging, Painting & Staining, Ground leveling, shape correction, Readylawn roll out turf, Lawn & Gardens installs & maintenance, Hedges & Pruning, Waterblasting and much much more. Bay of Plenty's Specialist Artificial Turf installer - for discerning Bay of Plenty clients who value a professionally installed, premium, soft and the most life-like Artificial Turf, that will keep its shape & last We work exclusively with Urban Turf, an innovative and research based company and the fastest growing synthetic Turf manufacturer in Australasia. Impact Turf supply and install the most real to life artificial turf available in New Zealand. Not only does our turf look the part and add “Impact” to your property it also feels like natural grass! Our turf needs no mowing, looks manicured all year round, drains and wears better than natural grass reduces allergy triggers and is child and pet friendly. Our Premium Service – what it means for you: PRODUCT High quality yarn, stitching and backing soft fibre feel the most life-like look on the market engineering to last by an innovative company fibres that won’t flatten or fall out quickly INSTALLATION deep excavation (90 to 100mm) base gravel with crusher dust topping Multiple compaction runs Turf into position and cut prudently Joins married in carefully Dry, high-grade sand spread Fibres brushed up to look great A specialist owner installing and managing, using best practice WARRANTY Seven year manufacturers warranty From a company that will still be around in seven years, and that you can call and speak to a New Zealander, or Australian (they are not all bad) and receive support One year installation warranty from Impact Turf (that product has been installed correctly and will perform as designed) On completion you receive: Warranty documentation Care and Maintenance documents INSPECTION Impact Turf inspection 1-2weeks from completion to ensure client happiness RESULT You can enjoy a beautiful manicured lawn for many years without worry Lawns and landscaping Child care facilities Schools Cricket Tennis Golf Multi-sports Balconies and rooftops Playgrounds Apartments Dog runs Events Around pools Artificial turf has come a long way since the days when it was known as “Astro Turf” or ‘Fake Grass” and is now a serious alternative to natural grass for those wanting the look and feel of real grass without the associated maintenance. What can a landscape contractor or gardener do? Find landscape solutions and gardening services on Houzz. Scroll through this page to find professionals that offer landscaping and gardening services in your area. You can browse their latest projects, read reviews and see how other homeowners rate their work, and message them directly.